The Dutch Impliva is an umbrella specialist. The company exists since 1963 and has developed a wide range of umbrellas. 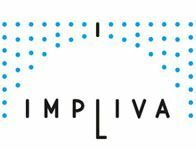 Impliva creates as well standard as highly innovative models umbrellas in all sizes, shapes and colours.